Panama City is strategically located at the Pacific entrance of the world famous Panama Canal, and not only does it offer spectacular weather for vacations, the city is also a hub for international commerce and banking. It is one of the three cities in Central America to have the status of a “Beta-” world city. 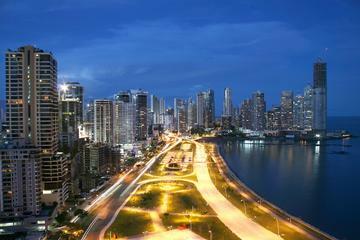 Panama was recognized in 2003 as an American Capital of Culture alongside Brazil’s Curitiba. There is much activity in Panama City, and U.S. hotel chains are looking to expand into the city. The USA has a grip on the modern trends and most people visiting Panama City are looking to experience a taste of the USA away from the U.S. mainland. The visitors from the USA also want something familiar, and this and many more reasons have pushed US hotel chains to look into business prospects in Panama City. You will find U.S. hotel chains such as Hilton Panama, the American Trade Hotel, Continental Hotel & Casino, just to name a few, and the available hotel rooms have more than doubled since 2007 to over 15,000 rooms. As a result, competition has become severe and the rates are steadily declining, and you can expect unbelievable deals in the ongoing hotel wars. In the long term, the notion is that the increase in the number of hotels in Panama City will push the value of the property market. However, more U.S hotel chains are looking to put up shop in the Central American city to cater to the growing number of business and leisure travelers. Panama City is experiencing wave after wave of development and investors from across the world are showing interest. U.S. hotel chains are looking to extend their hospitality and culture to the world, and Panama City is a good place to start.